It’s about our communities. It’s about each of us. What is The PRIDE Study? The PRIDE Study is the first large-scale, long-term national health study of people who identify as lesbian, gay, bisexual, transgender, queer (LGBTQ), or another sexual or gender minority. By participating in the study over time, your unique story will provide vital insights on the health and well-being of LGBTQ people like you. Check your eligibility and join us today. What is the study's goal? The goal of The PRIDE Study is to improve the health of LGBTQ people. The main question we want to explore over many years is: how does being LGBTQ influence physical, mental, or social health? By participating in the study, you bring us one step closer to understanding how the experience of being LGBTQ relates to all aspects of health and well-being. Learn more about the impact of our study. What does it mean to join the study? We know your time is valuable. That is why a minimum of 45 minutes once a year is all it takes to help us achieve our goal. After enrolling online, you will have the option to begin our Annual Questionnaire survey. Depending on the details of your health history, some participants will be invited to complete additional questionnaires or other forms of research about specific health topics. The PRIDE Study is conducted by doctors and research scientists at Stanford University and the University of California, San Francisco. 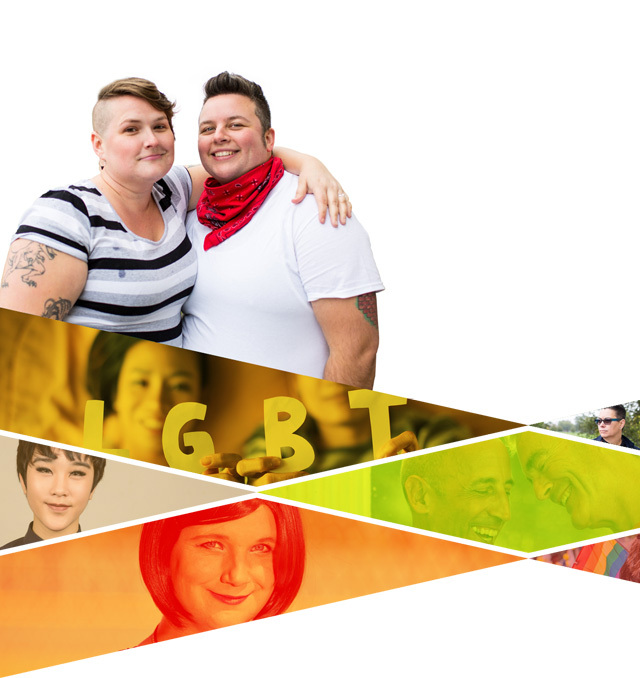 Health questionnaires are designed with expert guidance from national advisors before they are shared for community input from PRIDEnet, a national network of individuals and organizations that engage LGBTQ people in health research. As doctors and researchers, we understand that information about your life is personal. Like our patients’ health information, it is our top priority to keep the information you share private and secure. All communications between you and the study are encrypted, and our data centers are physically and digitally secured. All studies are reviewed by the Human Research Protection Program (HRPP) at Stanford University. In addition, we have obtained a Certificate of Confidentiality (CoC) from the National Institutes of Health that prohibits disclosure of identifiable, sensitive research information to anyone not connected to the research. Learn more about the study’s data security. Your participation in the study matters only if we share the results with the organizations and people who can make real change for LGBTQ health. That’s why results from the study will be shared directly with you, health care professionals, policymakers, and community organizations. Only pooled data about groups of people in the study will be available: any identifying information about you will never be shared. How is The PRIDE Study funded? Support for The PRIDE Study is provided by Stanford University, the University of California, San Francisco, research grants from public and private institutions, product donations, pro bono services, and individual donations. In addition, we actively seek funding from foundations that focus on health, LGBTQ issues, and social justice. How can I (or my organization) support The PRIDE Study? If you identify as LGBTQ, live in the United States, and are at least 18 years old, become a participant today! We welcome individuals of all sexual and gender minority identities—such as same-gender-loving, Two-spirit, gender-fluid, among many others—as your experiences will help us better understand the diversity of our health issues across the U.S. If you are an ally or ineligible to apply, you can still sign-up to join our mailing list to stay up to date about our progress. Help us spread the word! Check out resources you can share online or in your local community. Every dollar, every minute, and every resource helps ensure the long-term success of The PRIDE Study and our efforts to improve the health of the LGBTQ community. Please visit our FAQs to learn more. For media inquiries or to schedule an interview with program leadership at The PRIDE Study, please contact darquero@stanford.edu.